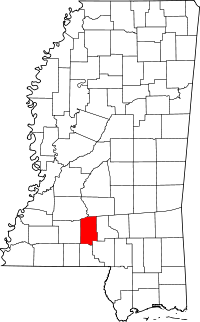 The county seat of Lawrence County is the town of Monticello which is where the Chancery Clerk's office is located, the office responsible for maintaining the property records of the county. The office is open to the public and allows researchers to view those records which are unrestricted. The Lawrence County Genealogy organization provides a number of other records from the county, as well as some land records. The organization provides census records for most of the 1800 decades, as well as family histories, marriage and death indexes, obituaries, and more, and they also accept encourage those who need assist or advice to contact them. For research and copies of birth and death records, the organization refers the Public Health Statistics department with the Mississippi State Department of Health. The department allows ordering online, over the phone at (601) 576-7981, through the mail, or in person at their physical location at 571 Stadium Drive in Jackson, MS.